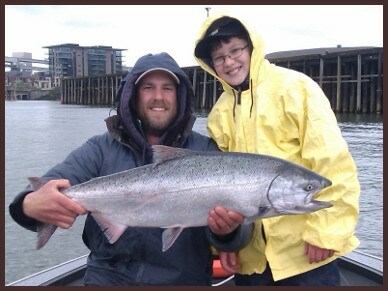 Guide Skylen Freet with 12 year old Dallas Ransom and his first ever salmon, a beautiful spring chinook caught on the Willamette River in downtown Portland on Easter Sunday. The first of many for a very promising angler. Congratulations Dallas ! Box office closes 1 hour prior to show closing. Congratulations to lucky angler Ken Cunningham of Jefferson, OR who boated this 40 pound upriver bright chinook salmon at Buoy 10 Monday afternoon. 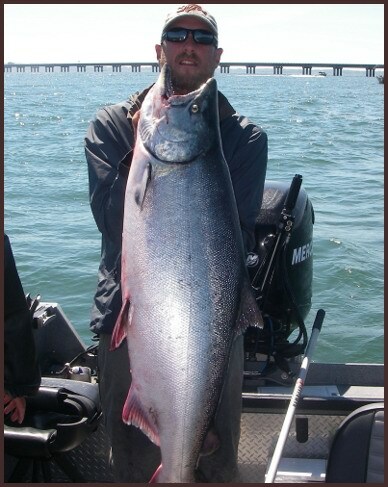 The trophy fish hit a herring fished near the bottom above the Astoria Megler Bridge. 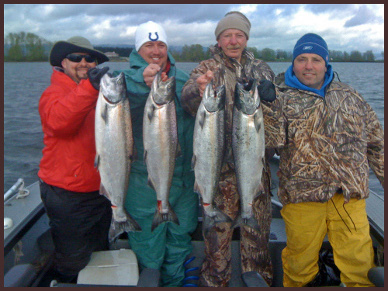 Ken also boated a 14 pound coho to round out his salmon limit for the day. In the history of Columbia River salmon the legend of the June Hogs may be the most fascinating story of all. It’s been estimated that the ancestral population of chinook salmon in the Columbia River was between 2 and 4 million fish. 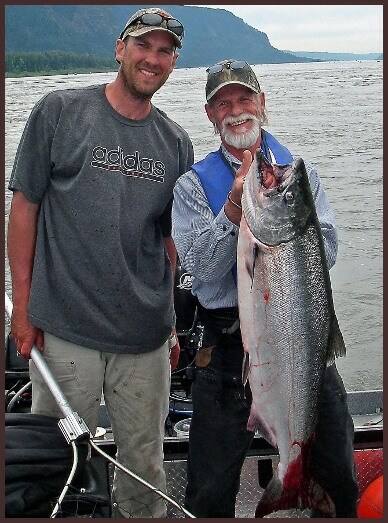 The largest of these chinook were the June Hogs, a strain of salmon so big they reportedly averaged between 70 and 80 pounds apiece with some specimens reaching upwards of 125 pounds. 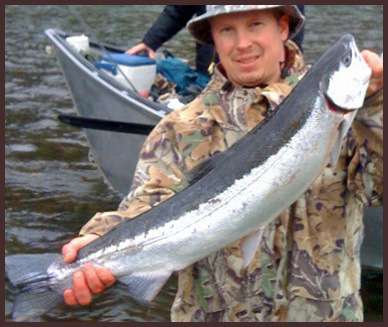 The Sandy River’s 2010 winter steelhead run is shaping up to be one of the best in recent years. High water flows in December and early January combined with above average winter temperatures have provided outstanding conditions for both the fish and the fishermen. Adipose fin-clipped hatchery steelhead (limit of two per day) as well as non fin-clipped native steelhead (catch & release only) are spread throughout the entire Sandy system. Anglers have experienced good success on the Sandy’s famous winter run since early December using a variety of techniques and methods.